This poor guy learned the hard way that saving pennies by hiring the lowest priced designer could greatly increase bottom-line costs. Quality design requires adequate time and the right people to do it. Cut-rate design may still "work", but often the final cost of the project is many times greater than the small difference in fee between the best designer and the cheap guy. For a bunch of similar cartoons poking fun at the notion that cheap is really cheaper, click on the "Cheap" category link on the right sidebar. 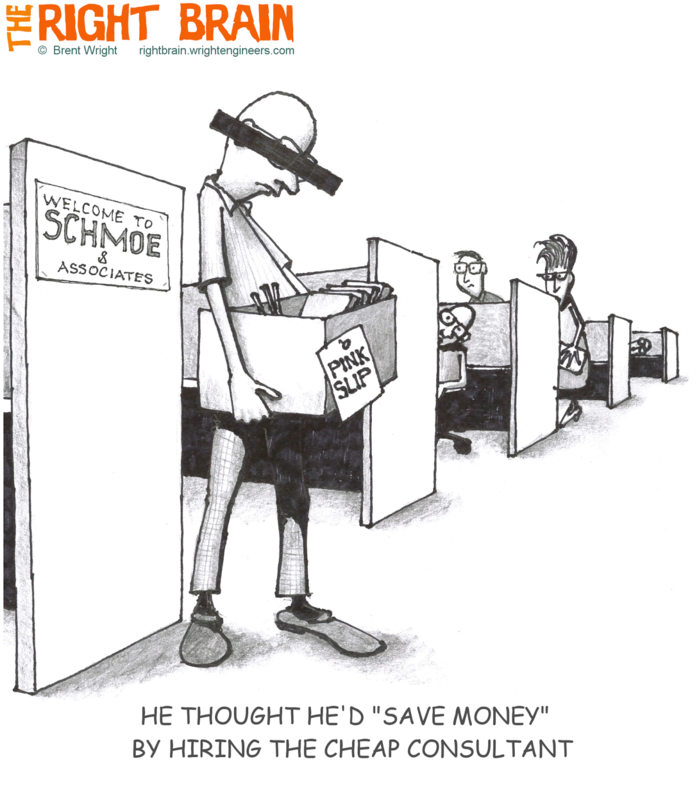 "There is nothing more expensive than hiring cheap engineers."